/ Here is a quick way to make dinner and lunch at the same time! School has started, it is day one, and I already hear, “I hate what you packed me for lunch.” What! I want to tell them the story about the children without food or the food that we ate when I was younger. You remember the pizza could have just as easily been found in the recycling bin as on the tan rectangle lunch tray. The “pizza” was brown, hard, and smelled tangy and the flavor was missing like the change in the couch. I was not always a good cook, in fact; I had no idea how to cook. In college, I read the box for pasta, and it said, “Let boil for 10 minutes.” I let the water boil for ten minutes and then I wondered when I was supposed to add the pasta. That was back then, but this is now. I am smarter and a more seasoned cook. I do, however, like to take a great short cut to a super meal. 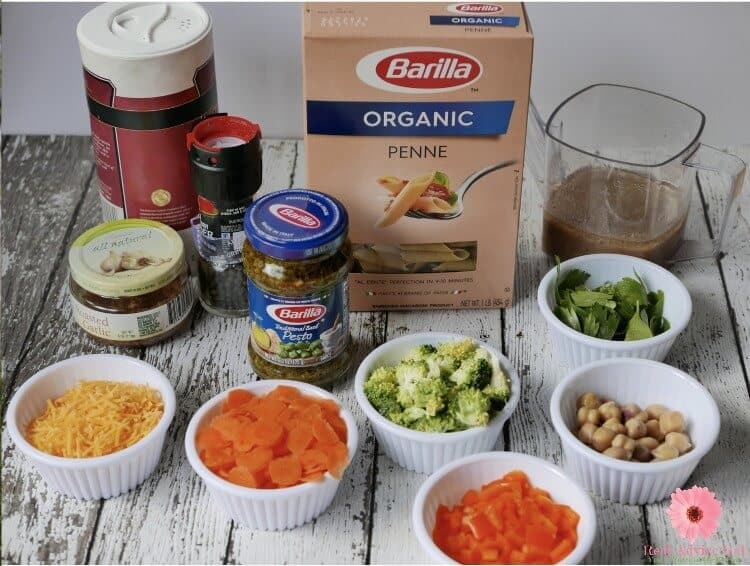 One of the tricks I have is to head to BJ’s Wholesale and pick up the Barilla Organic Pasta Penne/Spaghetti 6 pack along with the 2 pack of the Barilla Pesto Sauce because you can make two easy meals! I like the variety in a single box, you get both organic spaghetti and penne. This box of Barilla pasta gives me two different cooking options. 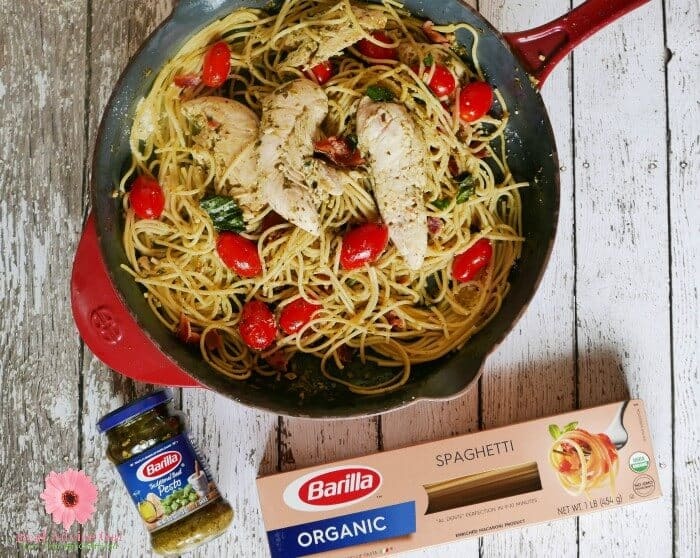 As an added bonus, Barilla Organic Pasta is USDA certified organic, contains no GMO ingredients, and cooks up perfectly “al dente” every time! #BarillaOrganic. And did I mention the Barilla Pesto Sauce?! It is amazing! It is made with the highest quality ingredients like sweet basil, aromatic herbs, and extra virgin olive oil. It is delicious hot or cold! #BarillaPesto. 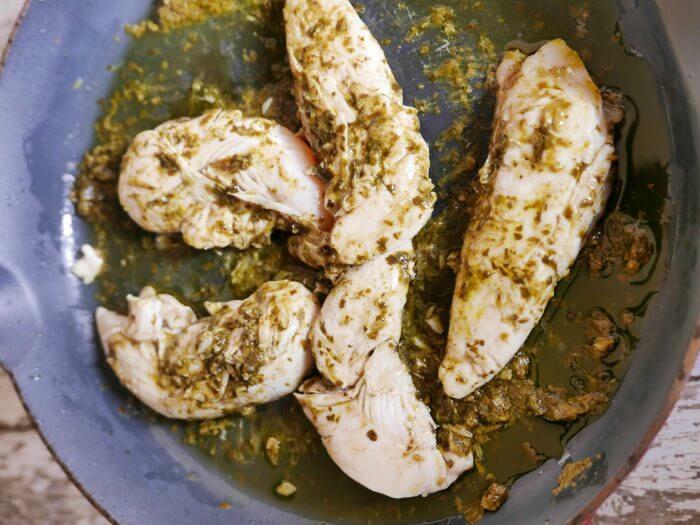 I am going to share a great dinner recipe that also makes a great lunch. Plus I will share a recipe for a side that I often eat as my main course at lunch or when I am running to soccer practice. I put this pasta salad in a container on the go. It is also my go to lunch idea for my kids. 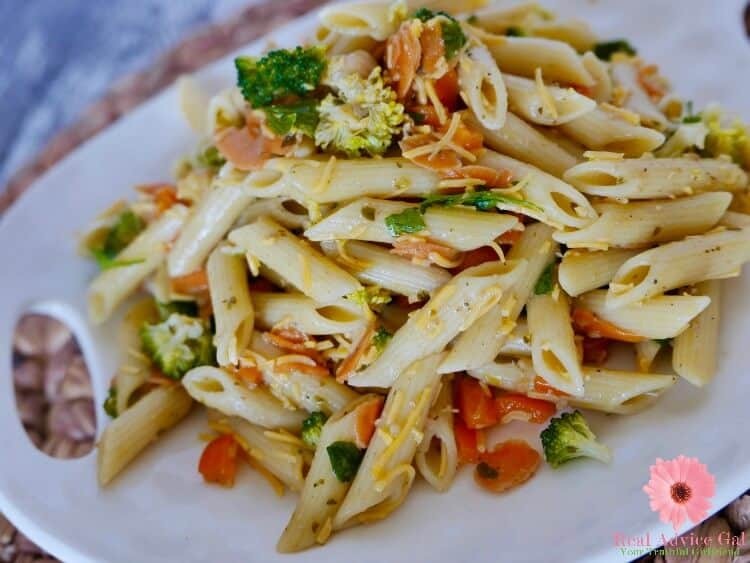 They adore it, and they can make their own variation of my (famous to them and in my own mind) Pesto Pasta Salad. You just cook once and make two meals. 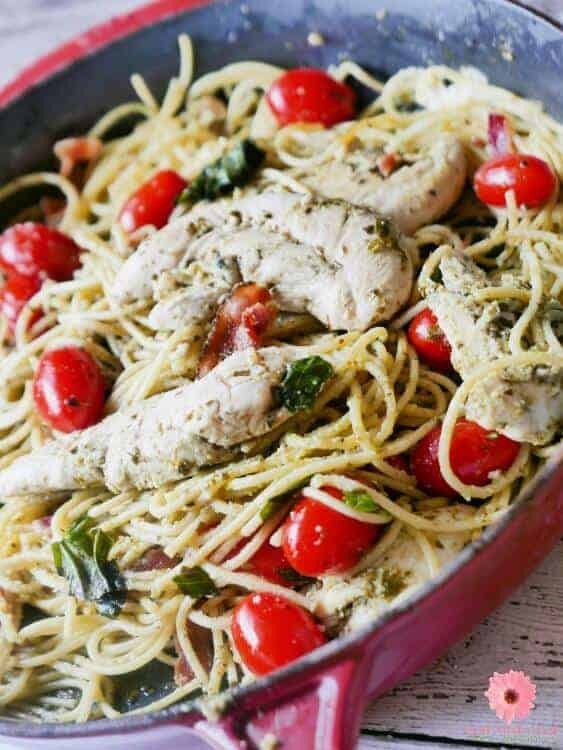 We will start with my easy peasy chicken, pesto, and spaghetti recipe. 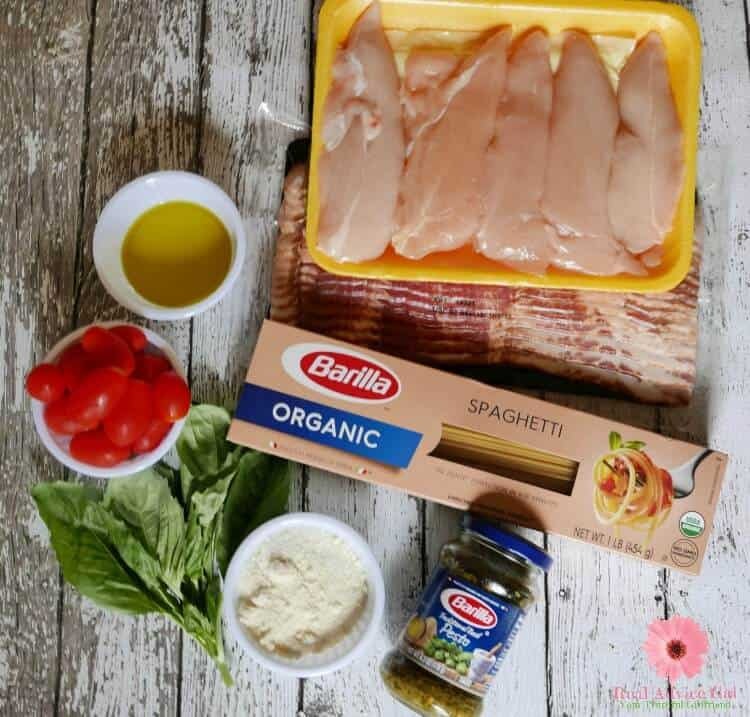 You will need to boil Barilla’s Organic Spaghetti Pasta as instructed on the box. 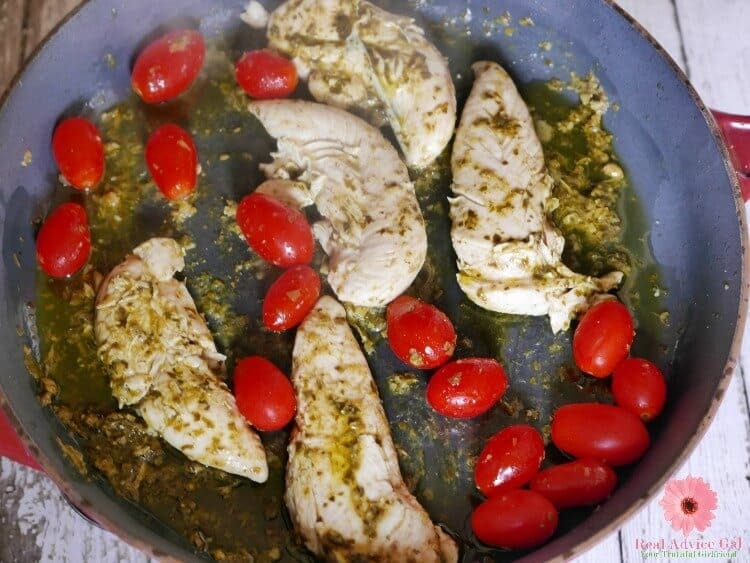 When you are boiling the pasta, line a pan on medium heat with olive oil. Place your chicken in the pan. Then add two tablespoons of the Barilla Pesto Sauce. You need to keep turning the chicken until it is cooked inside. Next, add your grape tomatoes. You will cook them until they are soft. Next, strain the spaghetti. Then, add the spaghetti to the chicken. I add two more tablespoons of Barilla Pesto Sauce into the pasta. I crumble the cooked bacon on the top and tear the fresh basil. The final step is to sprinkle with cheese and serve! It is fantastic! 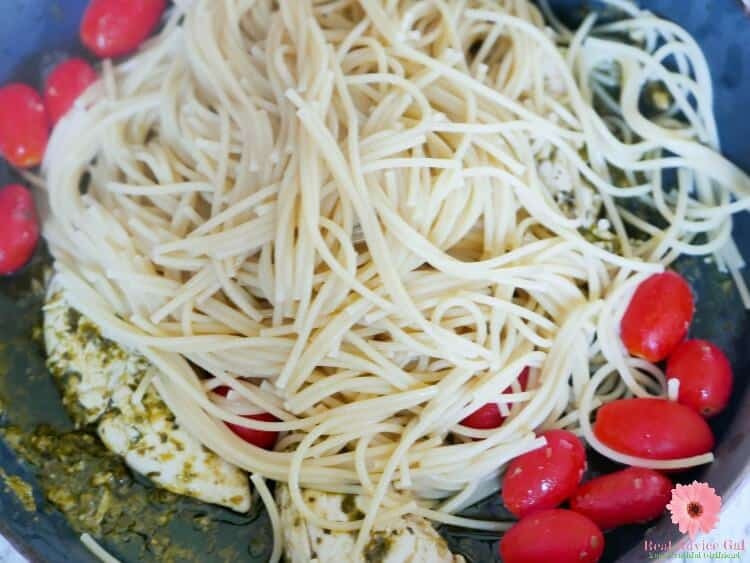 Now for the Best Pesto Pasta Salad. 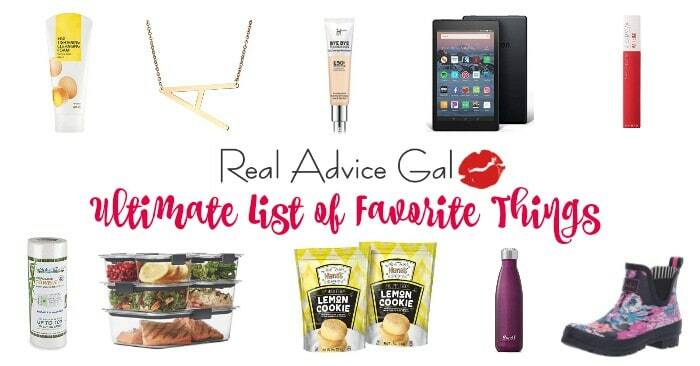 This is my go to side and lunch idea! You see two meals. I just boil both types of pasta and buying them in the box of 6 at #BJsWholesale club sure makes it easy. 1) Cook the penne according to the instructions on the box. 2) Then you will take it out and strain it while running it under cold water. You do not want to make pasta salad with warm pasta. Here’s my tip, to freshen up, add 1 teaspoon of Barilla Pesto Sauce and a couple of squirts of salad dressing. You can also add more vegetables based on your taste. 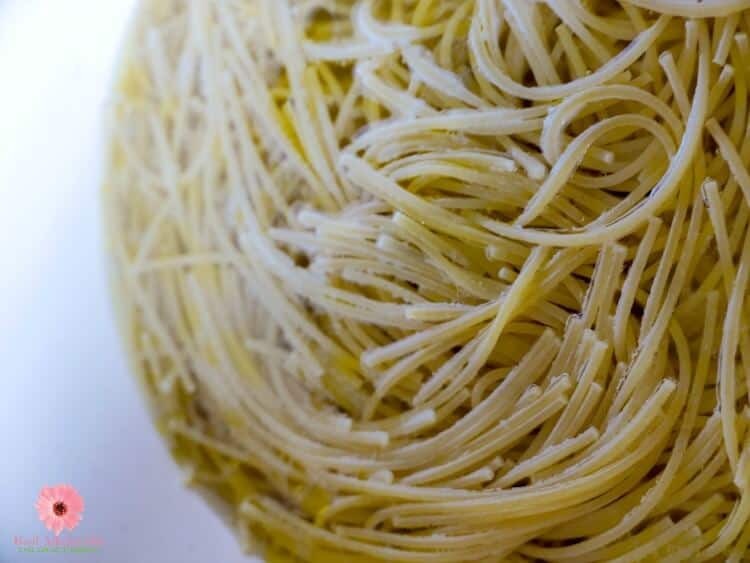 For more amazing pasta recipes, I recommend that you check out Barilla Recipes Page.